Alter The Press! 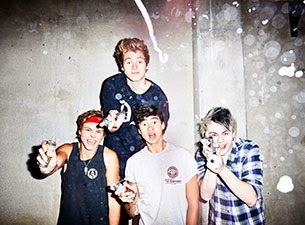 : 5 Seconds Of Summer Release New Song "Amnesia"
5 Seconds Of Summer Release New Song "Amnesia"
5 Seconds Of Summer have released a new song titled "Amnesia," which can be streamed below. The track, co-written with Good Charlotte's Joel and Benji Madden, is taken from the Aussie pop-rock four-piece's self-titled debut album that drops on July 22nd via Capitol Records. Dates and ticket information for the band's upcoming North American tour with One Direction can be found here.